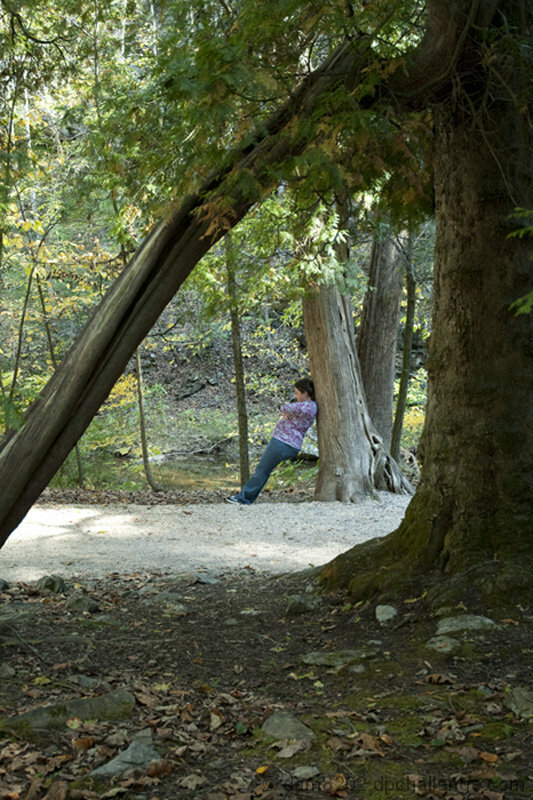 took this photo of my wife resting against a tree on a sunny day while hiking the nature trail at the Natural Bridge in Virginia. This lines of her body and of the fallen tree are similar, also the crook at the top of the tree seems to resemble the bend of her neck as it rests against the tree. No editing wa done to the original other than to srink the size to meet the maximum rule. A good idea and well implemented but technically not that good. I LOVE this for this challenge - what creativity!! I do wish the woman was more in focus. The idea fits the challenge theme well. Great catch with noticing the setup. It's too bad the photo feels like it lacks extreme sharpness, especially on the person. I like the idea, the image seems a bit flat/dull though (colours/contrast). Proudly hosted by Sargasso Networks. Current Server Time: 04/25/2019 09:47:18 AM EDT.